After the half-day city tour instead of going directly to our hotel, we requested our tour guide to drop us off at the Grand Palace. Before proceeding to our main destination, we had a quick lunch first in a small eatery and bought some souvenir stuff located across the palace. 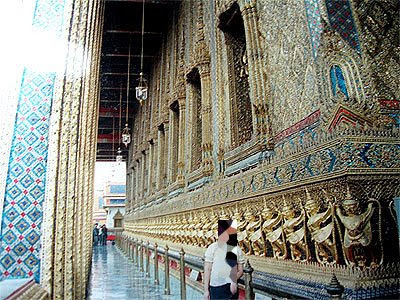 We let the rest of the family see the widely admired Grand Palace and the Emerald Buddha, which is very popular by throngs of tourists in Bangkok. Actually this is our second tour. I decided to merge our two visits (year 2002 and 2008) since nothing much has changed from the time we first visited this huge complex. 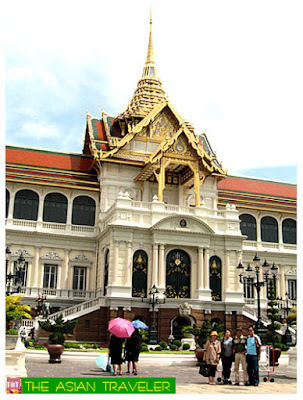 The Grand Palace served as the official residence of the king of Thailand from the 18th century to the mid-20th century. It houses not only the royal buildings and throne halls, but also a number of government offices and the Temple of the Emerald Buddha. It covers an area of 218,000 square meters. 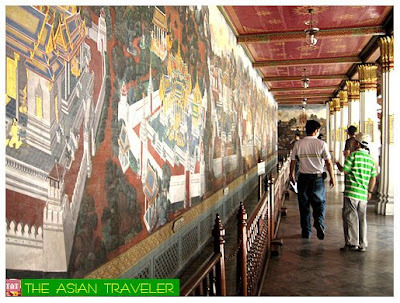 Upon entering, you'll see this huge murals along the hallway and you will be welcomed with many structures exquisitely decorated with gold and glass in Traditional Thai architecture mixed with European designs. Near the entrance gate is a large mythological giant called "yak" or "yaksa". It is said that in the Buddhist scripture, Yaksa had a duty to be a guardian spirit. 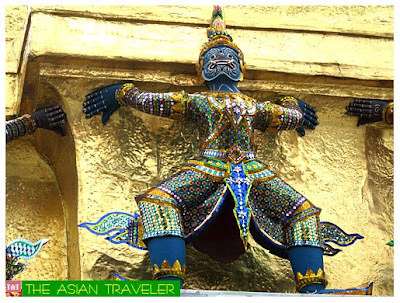 In the temple around Thailand, there are usually Yaksa as the gatekeeper to prevent the holy places from disturb of devils. There are main monuments located in the Upper Terrace such as the Phra Sri Rattana Chedi, built by Rama IV to house a relic of the Buddha. 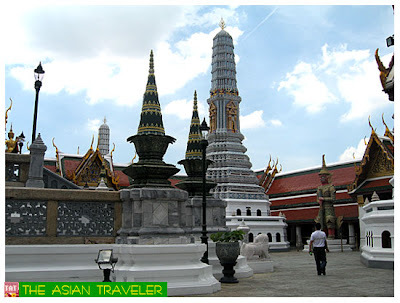 It has four directional entrances and it imitates the Phra Sri Rattana chedi in Ayutthaya. There is also the miniature version of Cambodia's Angkor Wat near the Royal Pantheon. Scattered round these monuments on the upper terrace are fanciful animals in mythology. On my left side is a kinaree, a mythological creature half-bird half-woman. It has the head, torso, and arms of a woman and the wings, tail and feet of a swan. She is renowned for her dance, song and poetry, and is a traditional symbol of feminine beauty, grace and accomplishment. 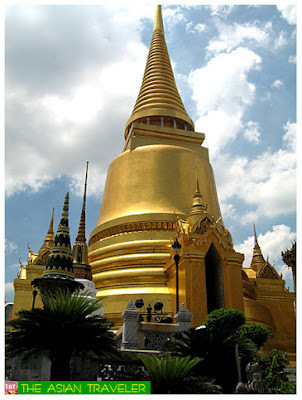 Located in the ground palace are the Twin Golden Stupas surrounded at their lower level with dancing garudas. 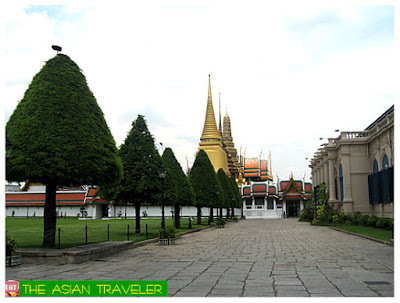 Nearby is The Royal Monastery of the Emerald Buddha, the crowning jewel of the compound. Inside is the amazing figurine of the Emerald Buddha sits high up on an altar of gold, the most profoundly honored Buddha image in Thailand made of green jade, clothe in gold and about 45 cm. tall. It's an exquisite Buddha statue and the interior of carvings and designs are lavish. I was very tempted to take a shot, however, taking photographs are not permitted inside. Externally a frieze of garudas and nagas run along the walls with lion figures guarding the entrance. In the rearmost complex of the Grand Palace is the Chakri Maha Prasat Palace, a three-storey Italian Renaissance style marble building with Thai inspired roof. This place is used as venue to hold royal banquets in honor of visiting heads of state. Visitors are allowed inside the spacious European style reception room. 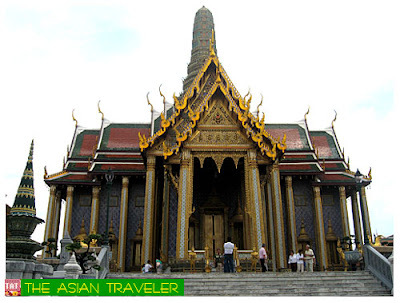 The Grand Palace and the Emerald Buddha Temple is a "must see " place in Bangkok, Thailand. The complex is an excellent example of Thai architecture. The details of the structures, the statues, the floors and the roofs are really grand. Everything is elegantly decorated with gold. Visitors should be ready because it will take at least half a day to explore the whole area and it could be extremely crowded especially in the afternoon. Sadly, we weren't able to roam around the whole place as our "older" companions were already exhausted plus it was excruciatingly hot that day. You have to dress appropriately according to the regulations of the Grand Palace or you will not be allowed to enter the premises. Avoid wearing sleeveless shirt, torn shirts, very short blouses, spaghetti strap blouses, see-through clothes, skin tight pants, shorts, miniskirts, three quarter length pants, and / or culottes, sandals and slippers. You need a lot of walking here, so a very good pair of walking shoes is a must. Clothes are available in the dressing room free of charge but remember it is close during ceremonial events. Language audio guides in 8 languages are available for rent. 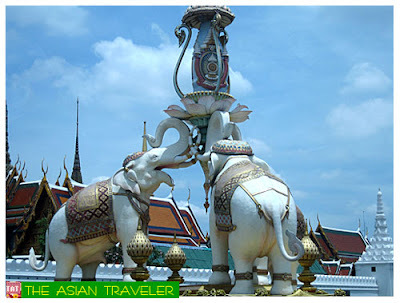 The Royal Grand Palace and Wat Phra Kaew (Temple of the Emerald Buddha) is located at Na Phralan Road, Phra Nakhon District, Bangkok, Thailand. It is open daily at 8:30 am to 3:30 pm. Admission fee is 200 Baht for foreigners and free for Thais. I hope the government will make Malacanang like the Grand Palace :) I can't think of any like the Grand Palace that we could make as a tourist destination for local and foreign tourists. I completely agree with you kegler747. How I wish we have places as grand like this. Really nice photos from Thailand. I have been to many temples before, especially in China. This one is really magnificent! 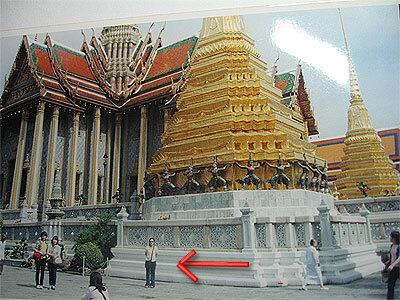 I have been to the grand palace too when I went to Thailand, and yes the grand palace is beautiful. The Buddhist Scriptures coated in gold are simply spectacular. I saw the little Angkor Wat. Have you been to Cambodia's Angkor Wat in Siem Reap? 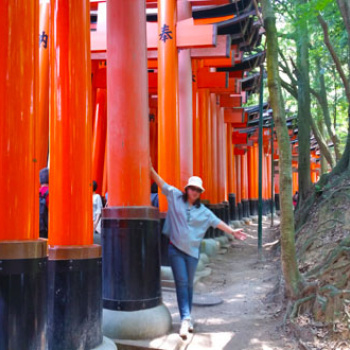 I've been there 3 years ago and you'll fall in love with its temples and majesty. 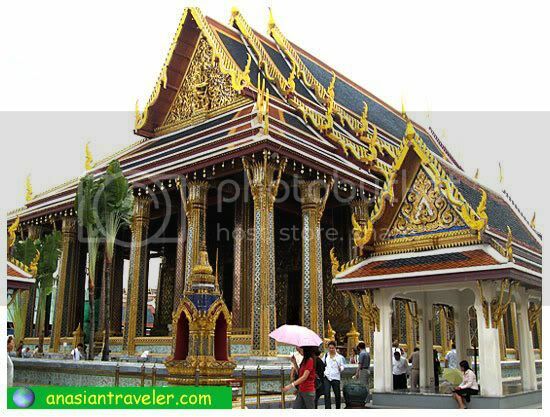 Yes, the Grand Palace is really one of the most magnificent temple structures in Bangkok, Thailand. Regarding Angkor Wat, sadly, I haven't been to this place yet but I love to go there. Its a great new site for travelers to interact with other travelers. Check it out and tell me what you think! Great photos! I'm a little late in responding to your message on Blog Catalog and now I'm kicking myself. Look at all the great stuff I've missed. Well done. I'll be back for more.